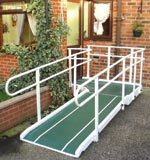 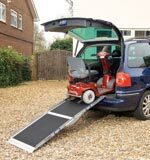 These highly portable ramps are built to cope easily with kerbs or one average height step. 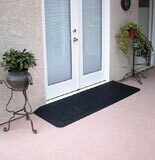 They all offer a wide range of uses in domestic, commercial and travel environments. 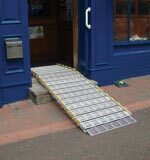 Aluminium one step kerb ramp is designed for easy/instant access over one typical kerb/step. 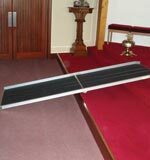 Equally suitable for hand truck/trolley movement over heights up to 7" (178mm). 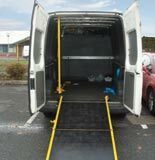 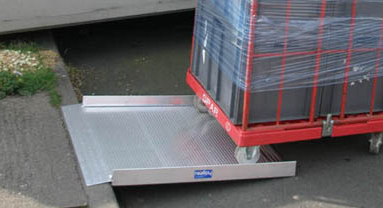 Differs from the Aluminium Flat Panel Ramp for Kerbs in that this ramp has a Safe Working Load (SWL) of 500kg.